I'm obsessed with this whole space - love the look of the island and love the lights! I've gone back and forth between a marble like quartz and a wood block island top...love both looks! Obviously from the inspirations, I want a white island. 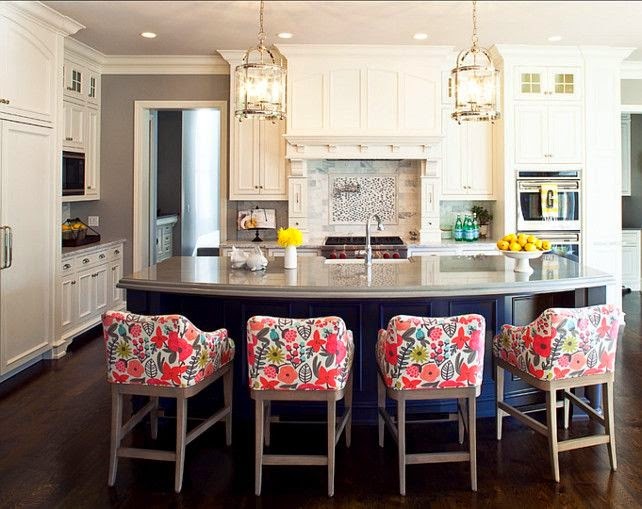 I love the traditional look of this island! 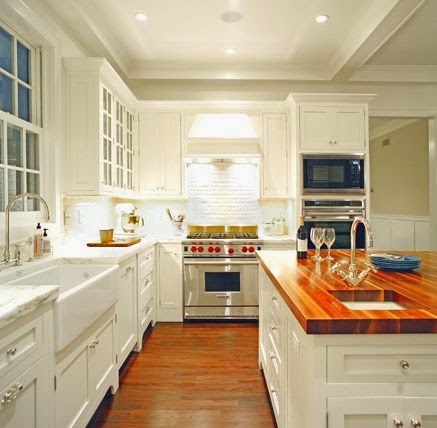 I like this clean and crisp look and I love the white counter top. 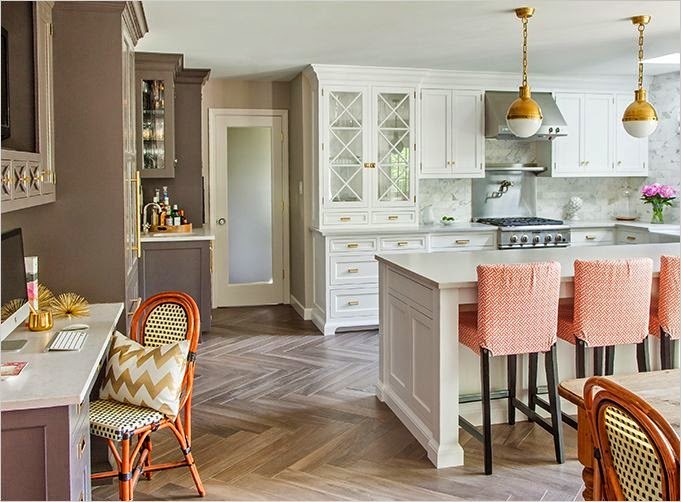 This kitchen is gorgeous and I love the island look! If I could figure out how to hide my microwave in mine, that would be great. To go with the island, I definitely want to find some fun bar stools. They are great for adding a touch of character to your kitchen if you find the right ones. At the same time, you want to make sure they are comfortable and people will enjoy sitting in them. I want people to hang out with me in the kitchen! 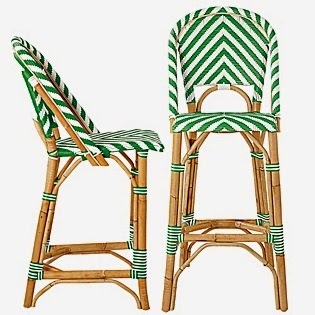 I dream about these fabulous Serena & Lily Riviera Stools! My Aunt Mary got the black & white bar stools from there and they are so cute in her kitchen. 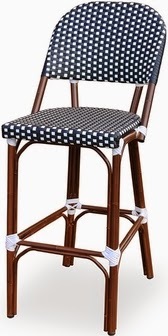 If you love the look, but need a more affordable option, these bar stools from Bizchair.com (where I found the fab ghost chairs) are a good price. I am dying over these bar stools covered in Rifle Paper Co. fabric. That is one of my favorite brands and these colors would look amazing in my kitchen. I need to figure out how I could get some affordable bar stools to recover. Well I will keep you all posted as I start my island design! If you find any great inspirations I might like, please share and if you know of any great places for fun lights and bar stools please share!